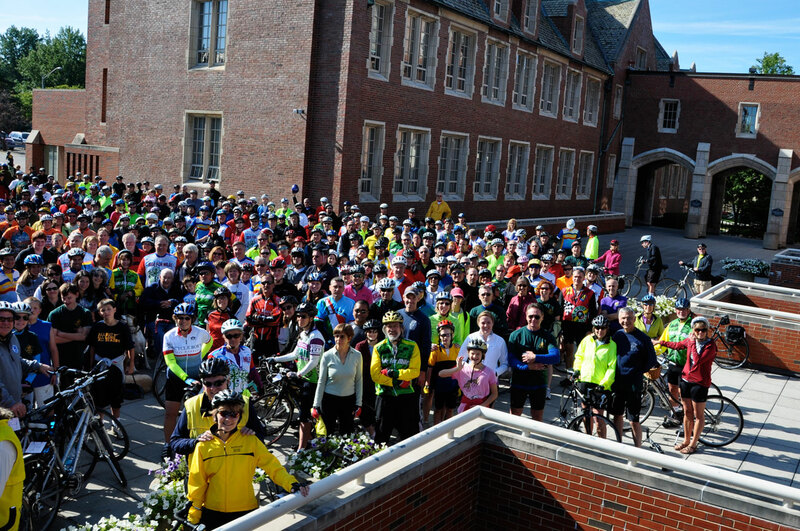 This week’s photo shows the large crowd that took part in this year’s Ride for Miles on Sunday, September 18. The event honors the memory of beloved John Carroll professor, cyclist, and environmentalist, Miles Coburn, Ph.D.
Coburn was an expert cyclist. 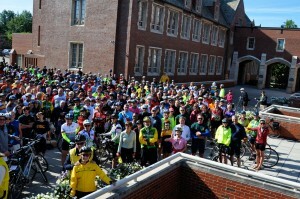 After his death in a bicycle accident in August 2008, his family, friends, and colleagues spontaneously organized a bicycle ride where 600 riders showed up by word of mouth. The annual noncompetitive ride raises funds for the John Carroll University Biology Department’s Miles Coburn Environmental Symposium. This project continues Coburn’s work of educating students and the community about the urgency of environmental activism.